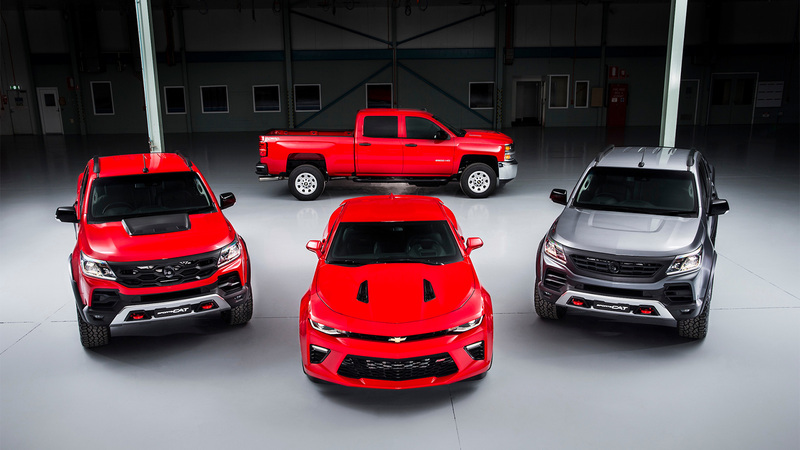 Pictured: Camaro, Colorado SportsCat and Silverado set to Storm Australia. “For a number of years, we’ve been talking about bringing customers the best vehicles from around the GM world, and today we’re proud to announce the next step in that strategy. 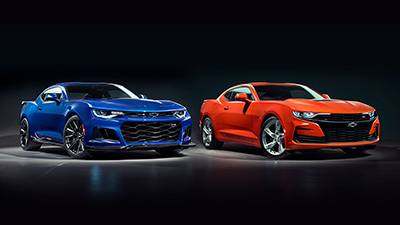 Our partnership with HSV, utilising their world-class engineering and design capabilities, means we’re able to work together to bring the iconic Chevrolet Camaro muscle-car and the best-selling Chevrolet Silverado pick-up to customers in Australia and New Zealand. Not to mention the imminent launch of the red-hot Colorado SportsCat. Today is a great day for customers”. 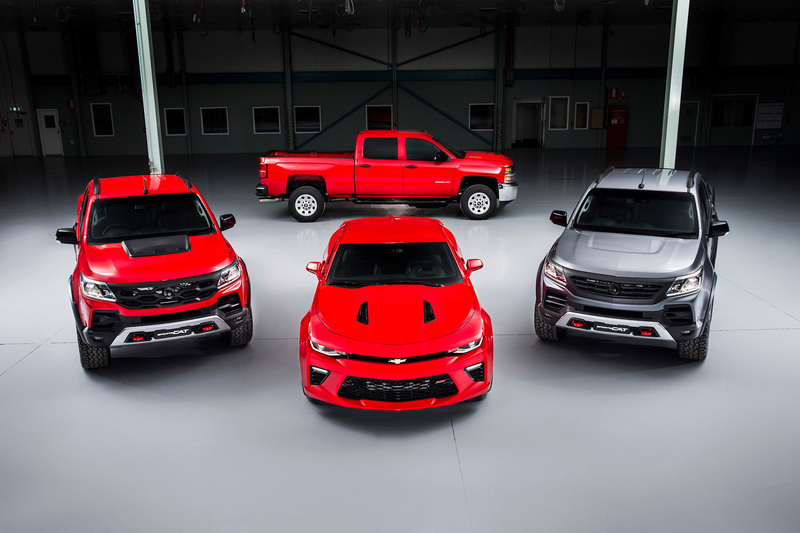 “We’re excited to re-introduce the Chevrolet brand to the Australian market as part of an expanded GM presence in Australia, in partnership with HSV. As far as dealership branding is concerned, the existing HSV dealer network will be progressively updated to carry the Chevrolet ‘bow-tie’ logo and branding, as part of our new ‘dealership of the future’ program. The DNA of both of these vehicles is pure Chevrolet and we’re going to honour that”. Tim Jackson continued: “HSV’s engineering involvement starts and stops with the conversion of the vehicles from left to right-hand drive. 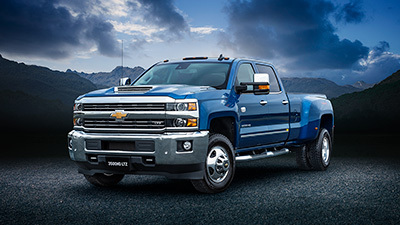 These are iconic Chevys to the core and we’ll let the famed bow-tie speak for itself”. The first new HSV product stream will be what customers have traditionally expected from the company, centred around vehicle enhancement and extending vehicle capabilities to become a true HSV. “It is important that we continue to play a key role in enhancing Holden’s image in the market place, and potential customers can expect to see us going to work on enhanced products which are a natural extension of the Holden range – the SportsCat is a great example of this approach”, said Jackson. “Some of our traditional customers will expect more power, and if the opportunities present themselves, we will look at powertrain enhancements where it makes sense. However, we see an opportunity to appeal to customers by investing in enhanced vehicle specification and capability that really delivers a great driving experience and a competitive advantage in various segments. SportsCat is a great example of how we can deliver improved on-road and off-road driving dynamics, and combine a great new look with improved vehicle capability and versatility. The segment is about much more than drag-strip times,” said Jackson. The second stream of product to be offered by HSV will be the introduction of world-class vehicles from across the GM global range that would not have otherwise been available through Australia and New Zealand. The new agreement has specifically been framed to allow the parties to pursue those programs that make the most sense with consideration for brand development, market-based opportunities, customer preferences, and, of course, commercial viability. The company was, however, quick to emphasise that their overall goal remains unchanged: to create exciting products for niche customers looking for unique vehicles. The new visual identity offers a more contemporary interpretation of the ‘Lion ’ Helmet’ that has adorned HSV vehicles, and represented the company, since its inception in 1987. “The current logo has served us well over many years, but as the business transitions to encompass a far broader array of product offerings, this new logo represents a new and expanded brand promise,” said Jackson. “The Australian market is shifting and, like Holden, we’re shifting with it. This subtle logo change helps signify a new era of vehicle availability from HSV”, he said. “But make no mistake, while it’s a new logo, our customers can expect the same uncompromising attitude to introducing exciting vehicles that Australian’s love to drive”. In respect of Holden vehicles that have been enhanced for new segments like the 4x4 space, those products will be designated ‘by HSV’ and wear the ‘Lion ’ Helmet’ in selected environments like on the front grille. “If we then take some vehicles further up the food chain, and both Holden and HSV believe the best branding approach for the vehicle is to receive the full HSV designation, then we will make that call at the time”, said Jackson. In addition to the increased spring rate, front ride height has been lifted by 25mm. This modification further improves the approach angle of the vehicle, increases ground clearance to the body and reduces the vehicle’s overall rake, delivering a more natural on-road stance. SportsCat+ also adopts a unique braking package, further enhancing its sporting credentials. Front 4-piston forged AP Racing brake callipers are complemented by 362mm x 32mm diameter rotors and a large (25.4mm) diameter brake master cylinder, to deliver improved pedal feel through a reduction in pedal travel and softness. The functionality of the vehicle’s Traction Control System has also been adjusted to allow for less aggressive interventions, particularly on corner exit. These adjustments also help deliver a more performance-based vehicle response. SportsCat’s stylish 18” forged alloys are wrapped in Cooper (Zeon LTZ Pro) Sports All-Terrain tyres. These Cooper tyres are a hybrid between a sports-truck tyre and an allterrain tyre and, in addition to their rugged off-road properties, were specially selected by HSV’s chassis engineers for their outstanding on-road performance characteristics, most notably on tarmac and dirt roads. The overall size of the tyres (285/60 R18), and their rolling radius, also delivers a further 20mm increase in vehicle ride height for a total (front) ride height increase of 45mm. In commenting on the engineering enhancements, HSV’s Engineering Director, Joel Stoddart, said “We set ourselves some pretty aggressive targets heading into the SportsCat program. We wanted to set the bench-mark for on-road performance without compromising the vehicle’s off-road capabilities. In fact, we’ve managed to improve the vehicle’s off-road performance, so I’m confident the team has delivered on both counts”. 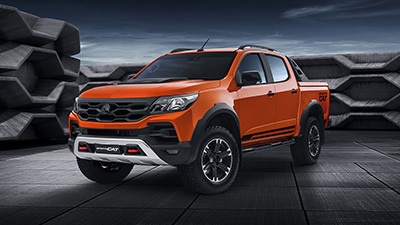 Said HSV’s Managing Director, Tim Jackson, “Most 4x4’s Pick-Ups are inherently capable off-road – essentially, it’s a category expectation, and we’ll certainly be amongst the best-in-class in this regard, especially with our added ride height and Cooper tyre package. But what we also wanted to do with the SportsCat program was dial up the vehicle’s on-road characteristics, given that’s where most people tend to spend the bulk of their time driving their vehicle. 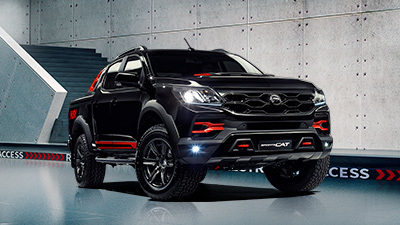 With our unique suspension packages and AP Racing brakes combined with the interior and exterior comfort and styling enhancements we’ve made, we’re confident we’ve developed Australia’s most stylish and advanced sports 4x4”. 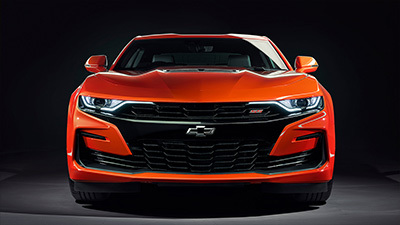 The Chevrolet Camaro defines performance and this legendary nameplate, in the form of the Camaro 2SS Coupe, will also be imported and converted to right-hand-drive by HSV, and available in 2018. The vehicle’s Performance suspension provides a dynamic connection to the road with stopping power delivered by 4-piston Brembo front ’ rear performance brakes with fixed callipers. High Intensity Discharge (HID) headlamps and LED Daytime Running Lamps deliver signature front-end appeal while stylish 20”, 5-split-spoke alloys (8.5” front ’ 9.5” rear) are wrapped in 245/40ZR20 (front) and 275/35ZR20 (rear) Goodyear Eagle tyres. A rear stanchion spoiler and dual-outlet exhaust with bright tips add aggression at the tail. The interior of the Camaro 2SS delivers the perfect marriage of form and function. It starts with power-adjustable heated and ventilated leather-trimmed front sports bucket seats for optimum comfort and support, complemented by a leather-wrapped, flat-bottom sports-profile steering wheel for ultimate grip. Dual zone automatic climate control, a 9-speaker Bose premium audio and 24 colour interior spectrum lighting enhance interior ambience while the Head-up Display, Drive Mode Selector and Enhanced Driver Information Centre blend exhilaration with innovation. 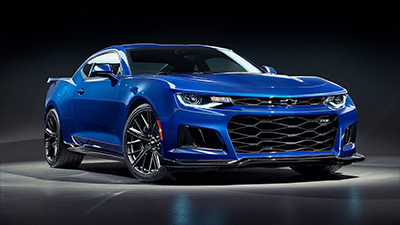 Conversion of the Camaro 2SS is due to commence at HSV in July 2018 with Recommended Retail Pricing still to be confirmed.